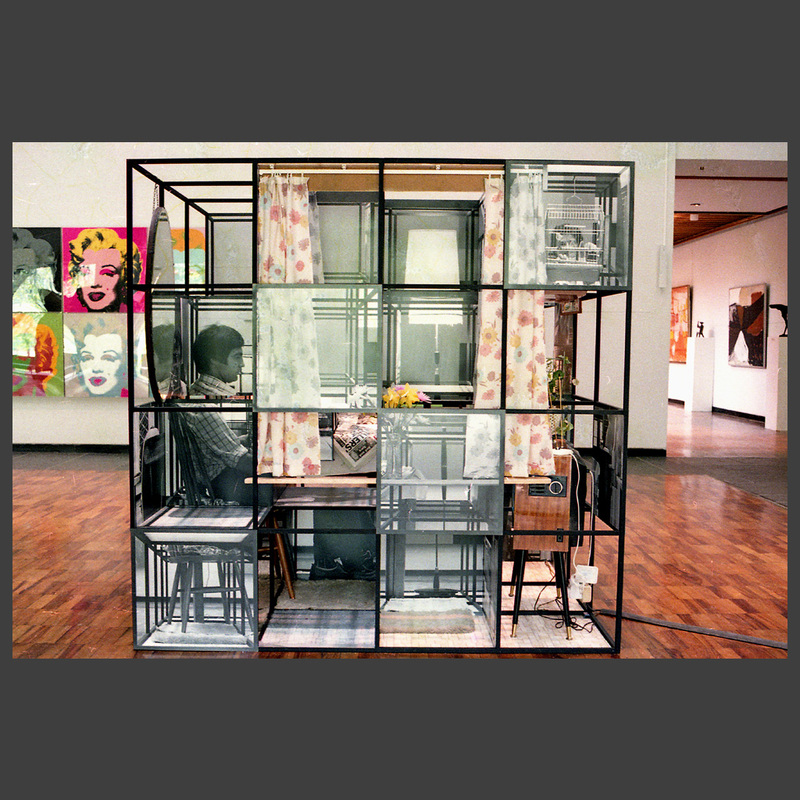 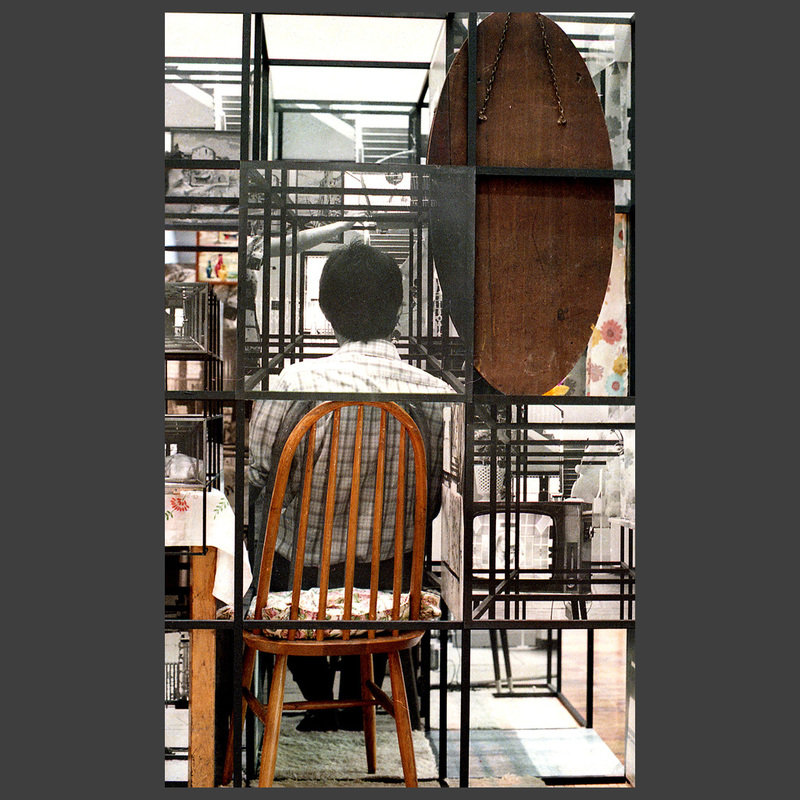 The exhibition at the Whitworth Gallery started as a section of a domestic interior defined by two inter-connected three-dimensional grids. 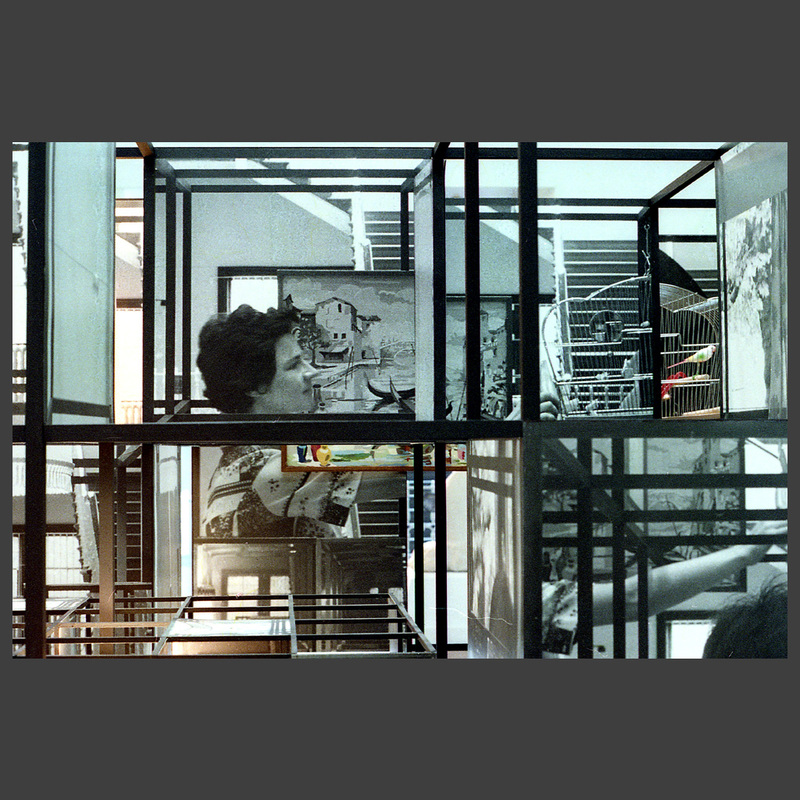 At intervals two figures posed within the space and the resulting life-sized photographic prints were fixed to the frames. 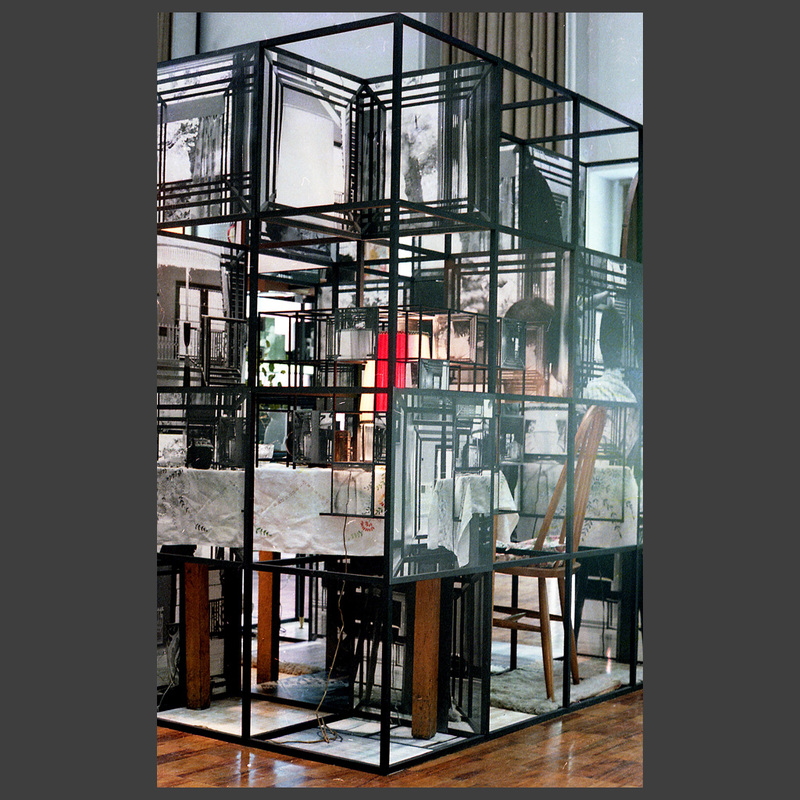 First the smaller internal cube, then progressively through the large frame, until eventually at the end of the exhibition all the spaces had been filled. 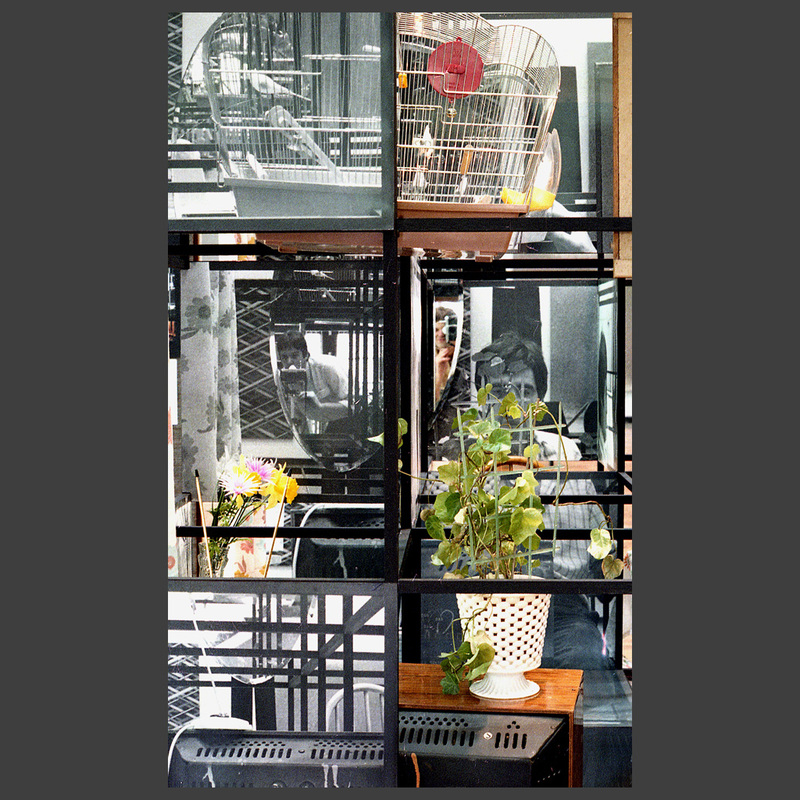 The photos increasingly defined both the fixed elements within the space and the views out to the surrounding gallery (a marked contrast in environments). 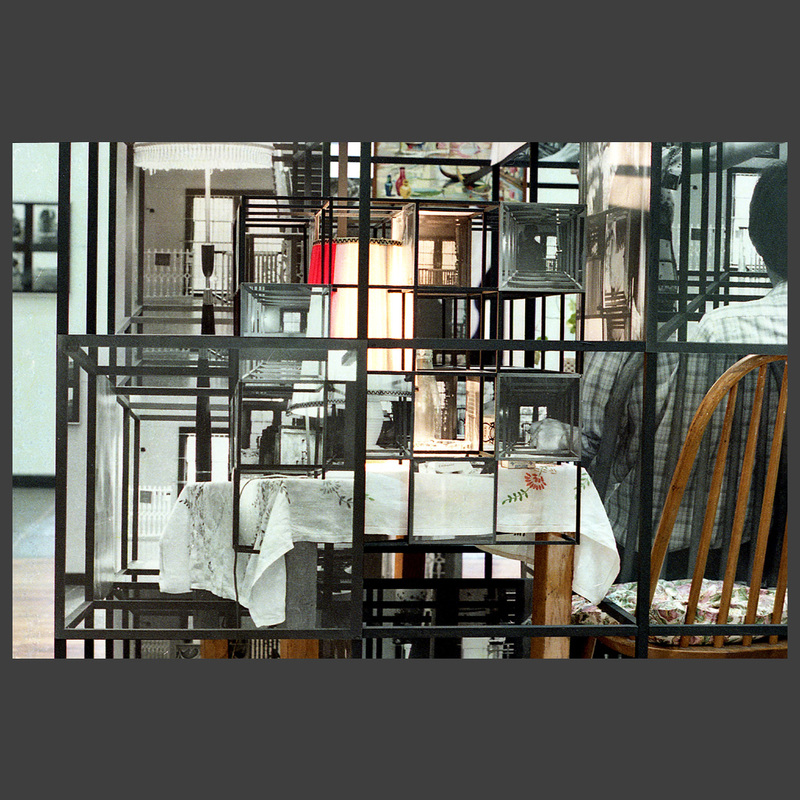 It also showed glimpses of the residue of human presence. 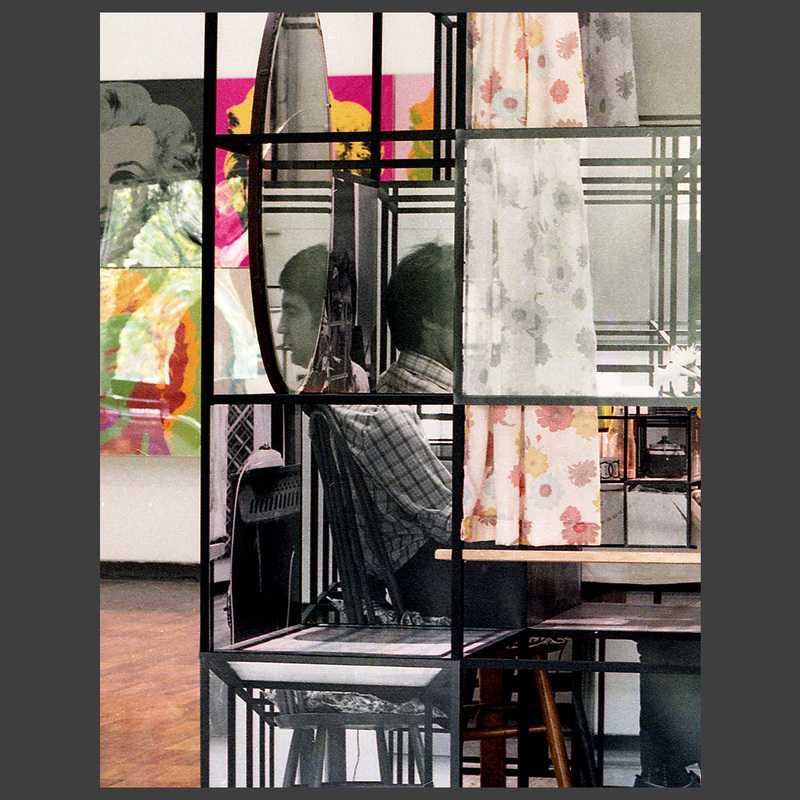 The viewer is left to imagine the relationship between the figures and what were the events both before and after the moment their images were locked into the structure. 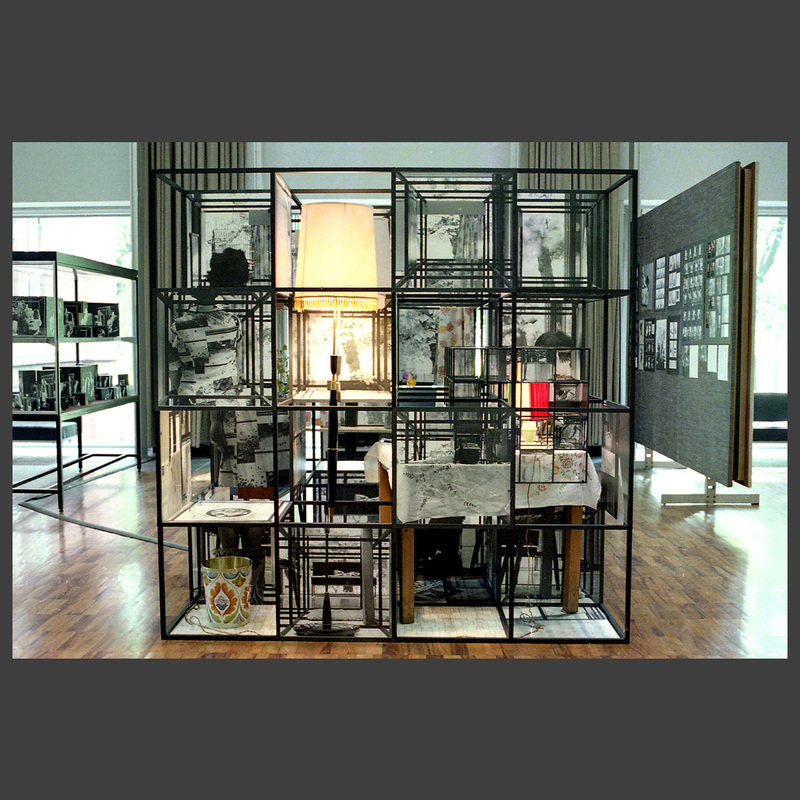 The frame is at the same time a means of defining and ordering the space and a support for the images. 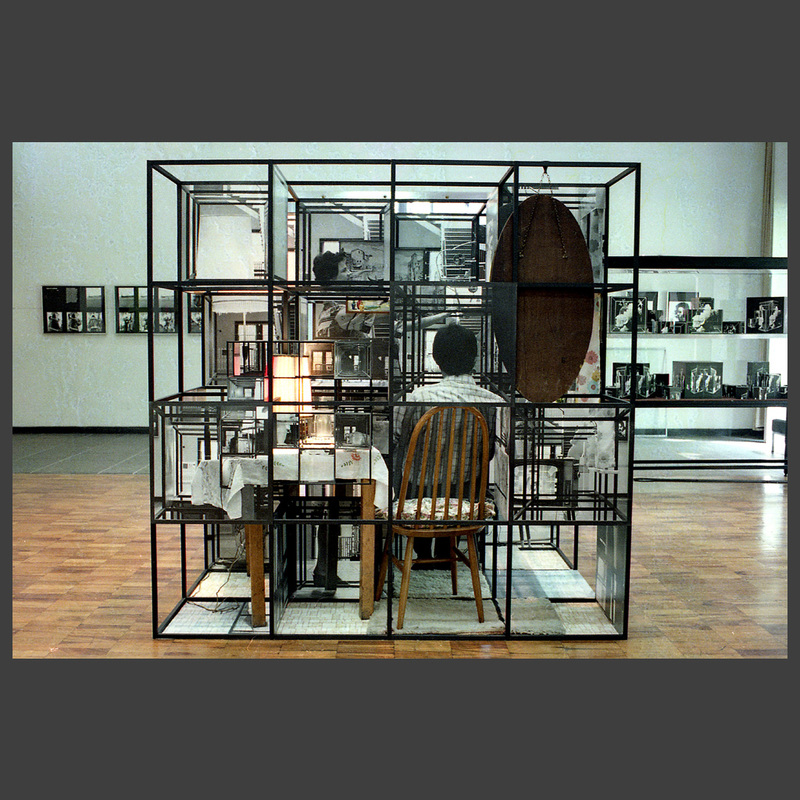 It is a cage which both imprisons and protects. 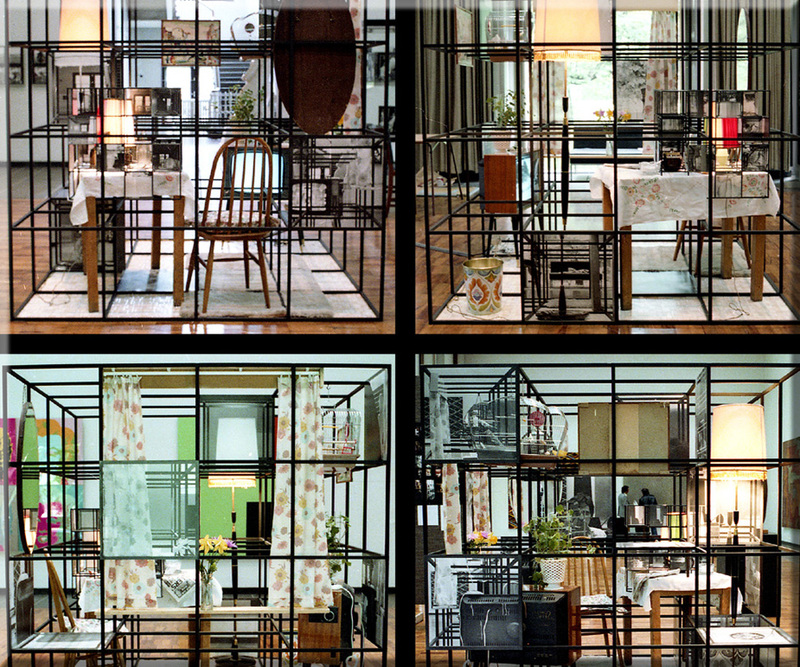 The exhibition started as a section of a domestic interior defined by two inter-connected three-dimensional grids. 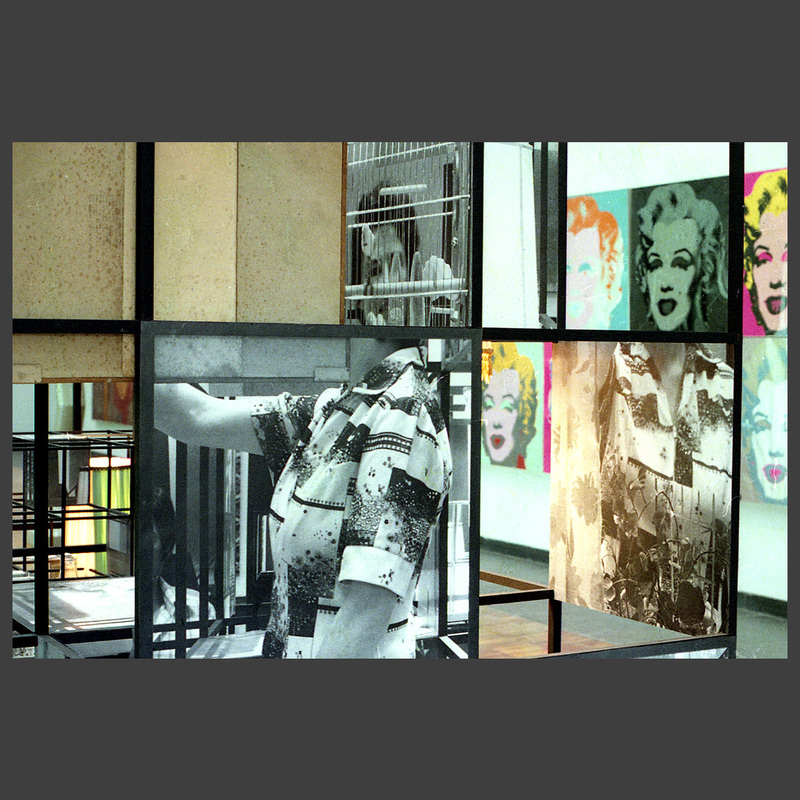 At intervals two figures posed within the space and the resulting life-sized photographic prints were fixed to the frames. 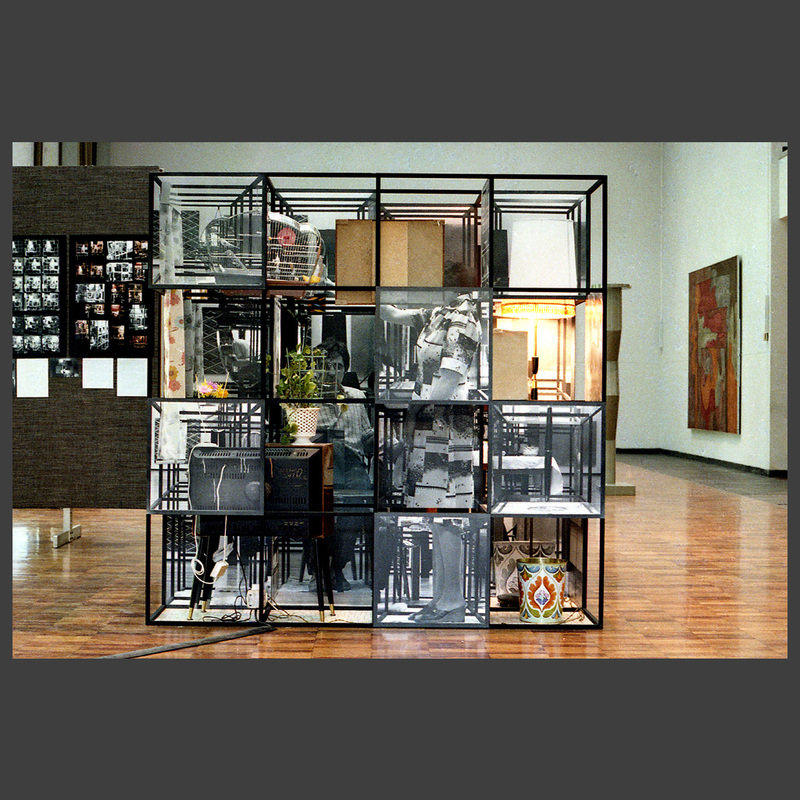 First the smaller internal cube, then progressively through the large frame, until eventually at the end of the exhibition all the spaces had been filled.